This is another swatch from my ILNP haul and it is simply gorgeous. 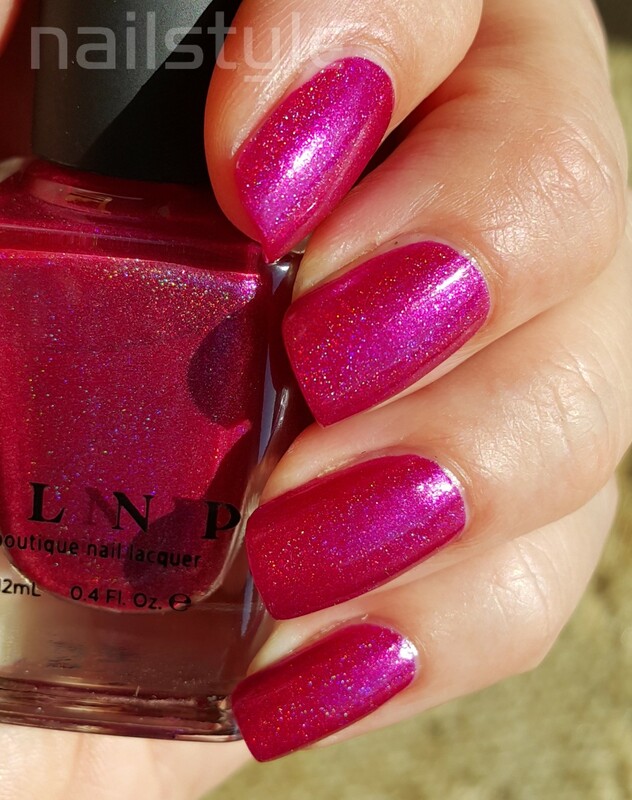 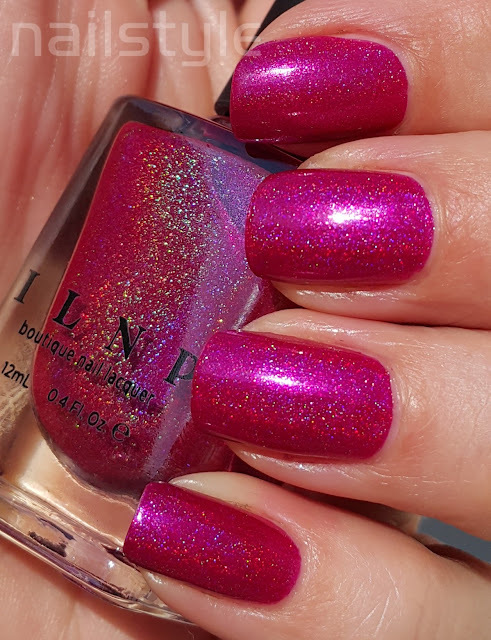 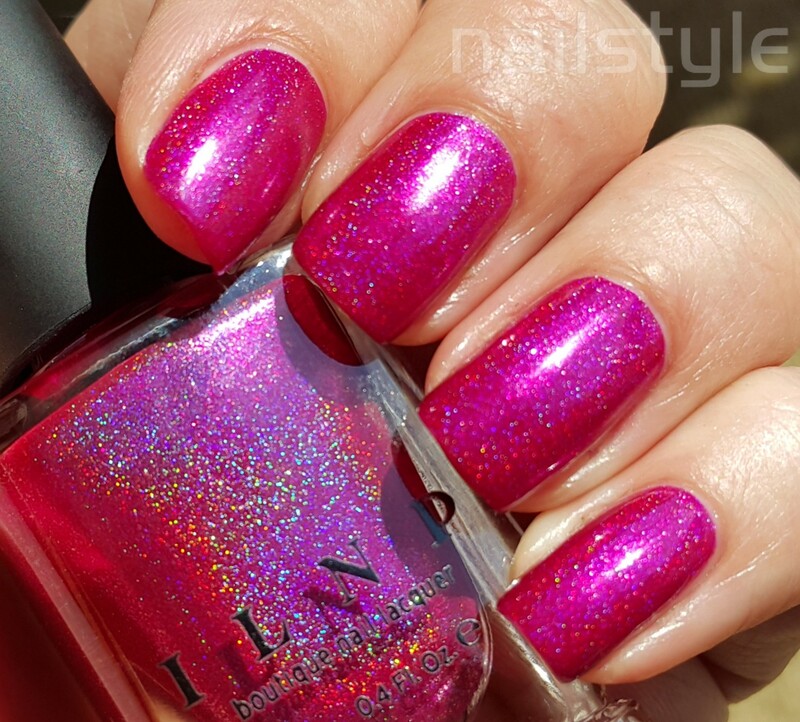 Its a brilliant fuchsia with a strong scattered holo effect. 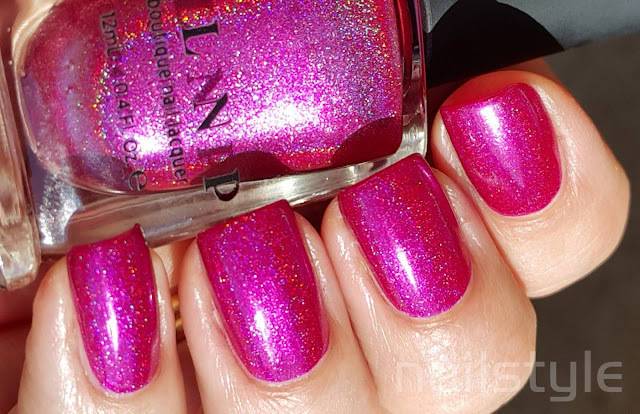 I am loving the formula of these polishes - this was opaque in two coats and is effortless to apply. 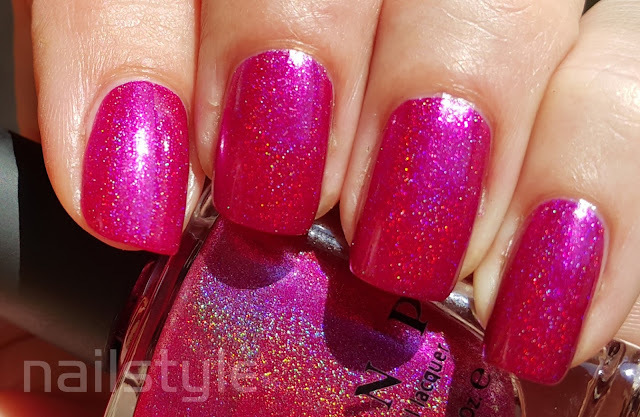 The brush is flattish and gives great control. 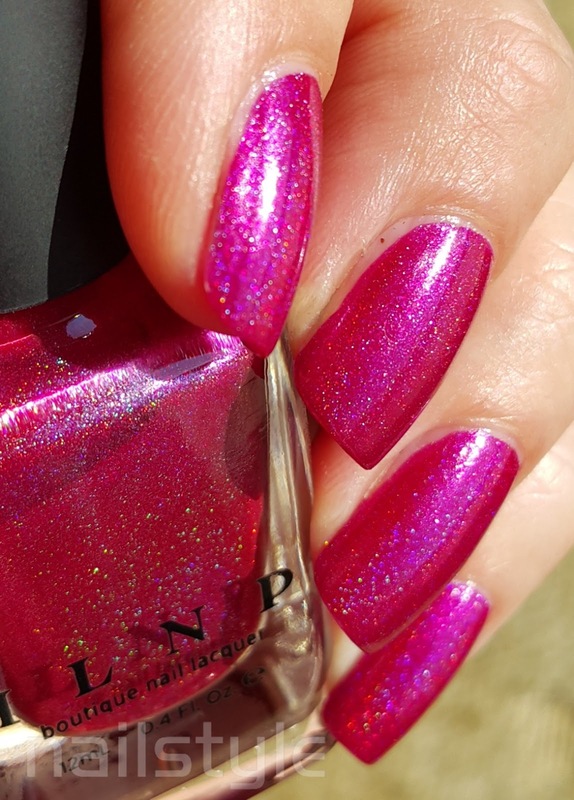 I've also noticed that I don't have the usual tip wear after a couple of days - so another plus! My pictures don't really do it justice but it is obvious how holographic it is by the bottle!